On the morning after harvest, the inhabitants of a remote English village awaken looking forward to a hard-earned day of rest and feasting at their landowner's table. But the sky is marred by two conspicuous columns of smoke, replacing pleasurable anticipation with alarm and suspicion. 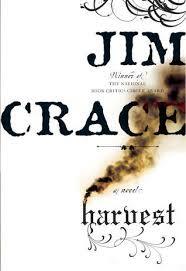 For the setting of Harvest, [Crace] has chosen an uncertain century — in both senses of that phrase. Crace’s narrator, Walter Thirsk, inhabits an agrarian community, a village that time seems to have forgotten, sealed against the wider world. Sealed, that is, until the novel’s opening scenes, when covetous, irruptive forces begin to smash through those barriers … Crace writes with a particular, haunting empathy for the displaced. Indeed, displacement doubles as his theme and as his storytelling strategy. By transposing contemporary anxieties onto distant times he allows us to feel them afresh. 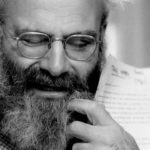 To say as much is not to pigeonhole him as an abstract or formulaic writer: his plots may be epic, but his sentences carry a sensual charge. The novel begins with a pair of threats: two plumes of smoke, the first a sign of newcomers and the second of a fire at the master's hay loft. Both are harbingers of trouble, particularly once the new arrivals are blamed for the conflagration at the stable and given a week in public pillory … As with Crace's other novels, Harvest is deftly written, in language — formal, slightly archaic even — that reflects the setting it describes. It's also tightly plotted; less than a week passes from the moment smoke is sighted until the book's fateful outcome, and yet once underway, we have the sense that everything is inevitable. From the newcomers to Edmund Jordan, Master Kent's cousin by marriage who has come to lay claim to the manor and its lands, the village is under siege, but nowhere more, Crace wants us to understand, than from itself. Its infuriating lack of temporal or geographical signposts suggests a fable—but without any of that genre’s sly moral gravity. Yet nor is this a druid-punk cousin to Crace’s more inventive works, for despite the villagers’ fear of ‘witchery,’ the supernatural is a rather tame beast in Harvest. The story is not so much simple as it is ploddingly plain. It is actually a little hard to describe, so absent is any kind of propulsive force … Far more compelling are the lamentably rare first-person plural sections dealing with human dread, which—if I try to discern some intention from the novel—I am fairly certain Crace had aimed to explore … As Thirsk says toward the end of this unsatisfying novel, ‘I have survived to tell the tale, although there’s not much of a tale to tell.’ That, I fear, is precisely the problem. What did you think of Harvest?